Tim Burton Now Apparently Taking Requests | Critical End! Is it just me or is Tim Burton on total autopilot these days? I don’t want to say “parody of himself” just yet, but his most recent films are Alice in Wonderland, Sweeney Todd, and Charlie and the Chocolate Factory. Those are just three existing stories about which somebody said “Wouldn’t it be cool if this was kind of screwed up and goth?” Of course there’s also The Corpse Bride, which is just a version of A Nightmare Before Christmas that Burton actually bothered to direct. 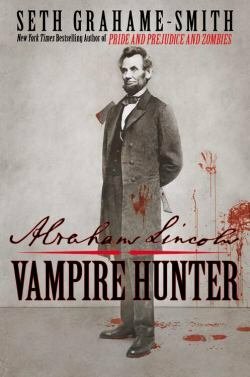 Following his theme of just doing whatever my 14-year-old self would have begged him to do, he’s now on board to direct an adaptation of Abraham Lincoln: Vampire Hunter, which is one of them historical monster mashups done by the Pride and Prejudice and Zombies fella. I guess that’ll be good? Maybe? I’m a big fan of a lot of Burton’s work, but this is such obvious material for him that I feel like I don’t even need to see it. I wouldn’t mind seeing something from Burton that I’d never seen before, more in the vein of Big Fish than just another skewed-view re-imagining. Well at least he’s not doing something silly like a feature length version of Frankenweenie. This entry was posted on Wednesday, March 3rd, 2010 at 6:15 amand is filed under . You can follow any responses to this entry through the RSS 2.0 feed. Both comments and pings are currently closed.